It’s much more than a simple hotspot, but too bulky to be a smartphone and too small to be a tablet. But none of that really matters because with its new 5G Hub, HTC did the impossible and made hotspot that’s worth caring about. Typically, hotspots are single purpose affairs. You turn them on, they connect to a cellular connection, and then you tap into that data on a phone or PC (usually over wifi). Very boring. 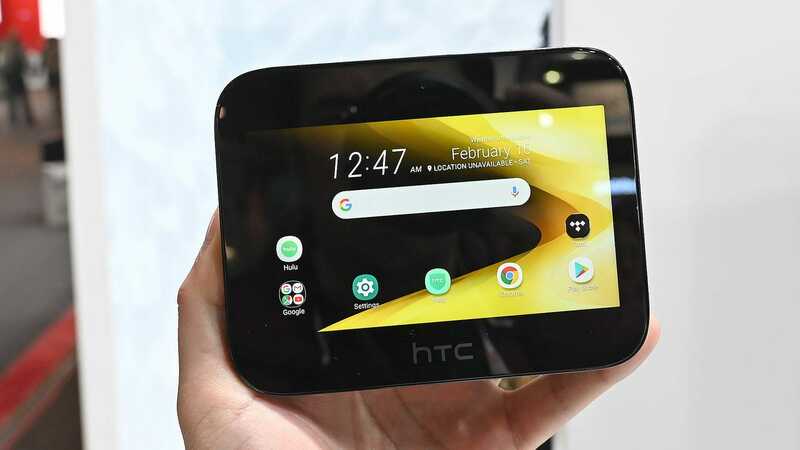 But with the impending arrival of 5G networks, HTC partnered with Sprint and challenged itself to reimagine what a hotspot could be when connected to mobile data that can support speeds of 1 Gbps or more and super fast latency. That’s way more ports than a normal hotspot, with the 5G hub even offering two ways to recharge the device (the round AC port, and USB-C with Qualcomm Quick Charge 3.0. 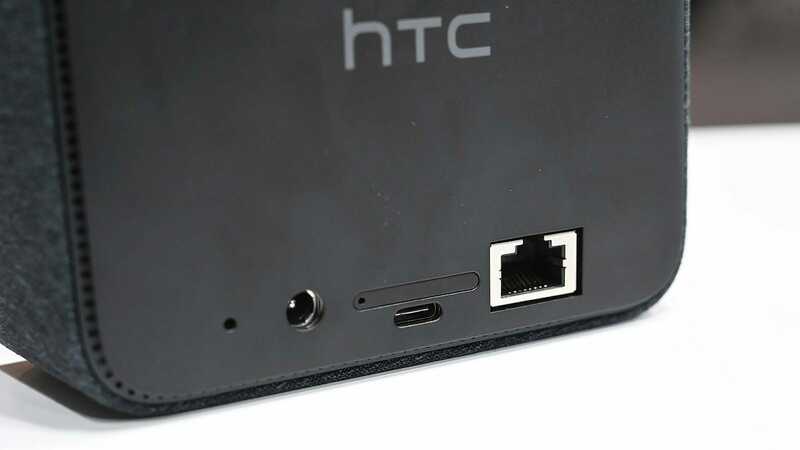 So instead of a simple puck with an on/off switch, HTC added a bunch of features to the 5G hub including a 5-inch screen, a lock button, microSD card slot, 802.11ad wi-fi, ports for both ethernet and USB-C, and even a full build of Android 9 Pie. And with the 5G Hub topped off by a Qualcomm Snapdragon 855 processor and X50 modem (the same chip and modem used in the new Samsung Galaxy S10 5G and LG V50 5G), the 5G Hub should be pretty damn fast too. This basically turns the 5G hub into a portable media centre and gives people forced to work out of hotel rooms a way to watch their favourite shows in the background on a secondary device. And while the 5G hub only comes with 4GB of RAM and 32GB of storage, the latter can always be augmented thanks to the hub’s microSD expandability. 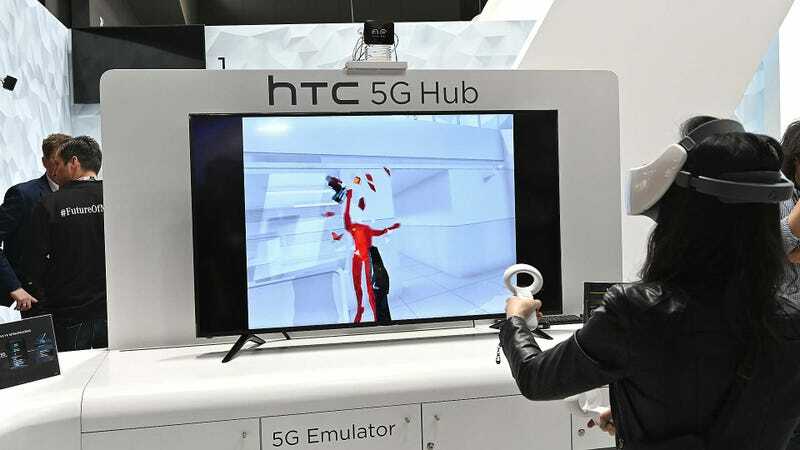 For the purposes of the demo, HTC had to simulate a 5G connection, as real 5G networks aren’t available yet. At MWC, I also tried one of the 5G Hub’s more far out use cases, which was streaming a session of Superhot VR being hosted on a server in the cloud to a nearby VR headset over WiGig. This was the first scenario where the idea of cloud gaming over 5G held any appeal for me, because when I’m travelling, I don’t want to lug around a laptop or desktop powerful enough to play VR games. And with the 5G Hub, that’s no longer a problem. 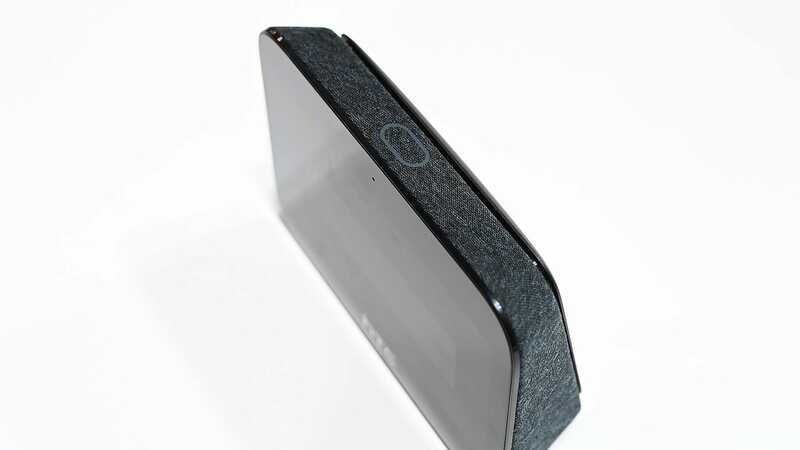 HTC even gave the 5G Hub a sizable 7,660 mAh battery with reverse charging, so you can use its extra power to juice up other devices in a pinch. So not can the hub supply your devices with super fast data, it can keep them topped up with power too. The one thing I wish HTC had improve a bit is the hub’s 5-inch screen, which only offers a 1280 x 720 resolution. That’s not even high enough to qualify as full HD. It’s also worth noting that compared to the pocketable hotspots, like a Verizon Jetpack, the 5G Hub will be noticeably more substantial in size, if still portable. There’s no official price or availability info yet. But with traditional 5G phones expected to cost a mint, HTC’s 5G Hub might be the best way to experience 5G networks in 2019 without needing to overhaul all of your mobile devices completely.